Chef Boy-Ar-Dee was not only a real person, but a culinary talent who headed the kitchen at a New York icon and catered a presidential wedding. Chef Boy-Ar-Dee is one of the most familiar figures in the supermarket aisles, but you may be surprised to know that the smiling, mustachioed character in the towering chef’s hat wasn’t some corporate marketing concoction like Betty Crocker. 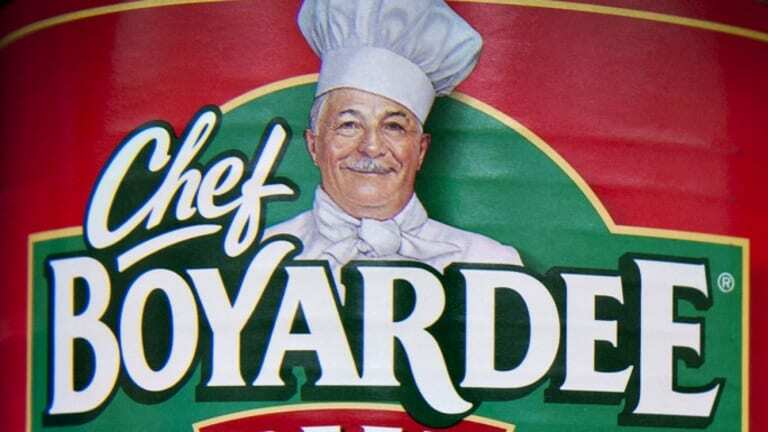 The man who graces cans of beefaroni and spaghetti and meatballs, Ettore “Hector” Boiardi, was not only a real person, but a culinary talent who headed the kitchen at a New York icon and catered a presidential wedding before hitting it big in the prepared food business. Born in 1897 in the northern Italian region of Piacenza, Boiardi supposedly used a wire whisk for a rattle and by age 11 was working as an apprentice chef at a local hotel. In 1914, the 16-year-old Boiardi set sail for new opportunities and arrived at Ellis Island aboard the French ship La Lorraine. He entered the kitchen at New York City’s prestigious Plaza Hotel, where his older brother Paul was a maître d’, and within a year he assumed the position of head chef. So talented was Boiardi that, according to his New York Times obituary, he directed the catering for the wedding reception of President Woodrow Wilson and his second wife, Edith, at The Greenbrier hotel in West Virginia in December 1915. Two years later, the chef moved to Cleveland to run the kitchen at the Hotel Winton, and in 1924 Boiardi finally opened a restaurant of his own with his newlywed wife, Helen. Il Giardino d’ Italia, “The Garden of Italy” in English, soon became one of Cleveland’s top eateries with customers regularly lining up to wait for tables and dine on Boiardi’s signature cooked-to-order spaghetti with its savory sauce and tangy cheese. 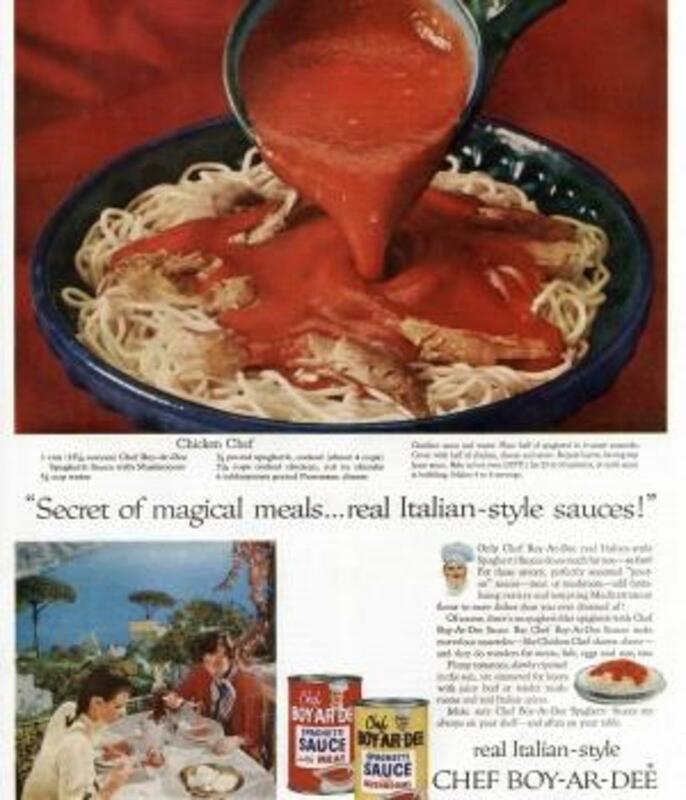 The dish was so popular that patrons wanted to make it for themselves at home, so Boiardi began to assemble take-out meal kits that included dried pasta, cheese and cleaned milk bottles filled with marinara sauce along with instructions on how to cook, heat and assemble the meal. With his take-out revenue beginning to eclipse that of his dine-in customers, Boiardi saw a burgeoning business opportunity. A couple of the chef’s regular patrons who owned a local grocery store chain helped him design a canning process and find a national distributor. To meet the growing demand, Boiardi and his brothers built a small processing plant and launched the Chef Boiardi Food Company in 1928. 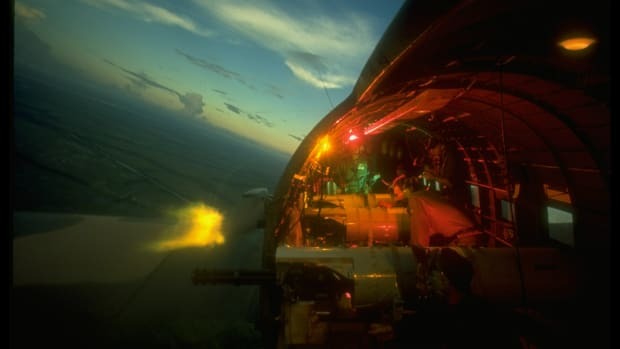 The company’s first product was a pre-packaged spaghetti dinner in a carton that included a canister of grated parmesan cheese, a box of spaghetti and a large jar of spaghetti sauce. The product sold well, but Boiardi soon discovered a problem. 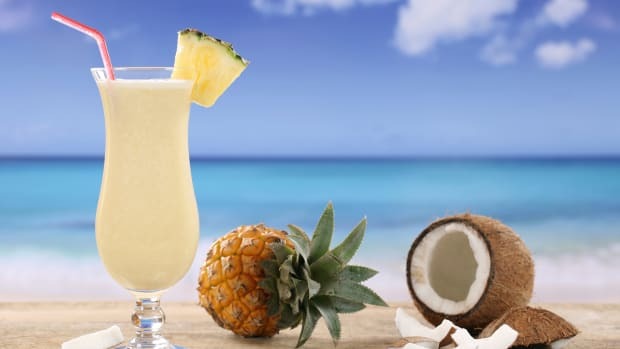 His American customers and salesmen struggled with the pronunciation of his last name, so the chef decided to change it to the phonetic “Boy-Ar-Dee.” “Everyone is proud of his own family name but sacrifices were necessary for progress,” Boiardi said. The company’s low-cost but tasty meals became popular during the Depression and helped to make Italian food a mainstay in the United States. Boiardi sourced high-quality ingredients. 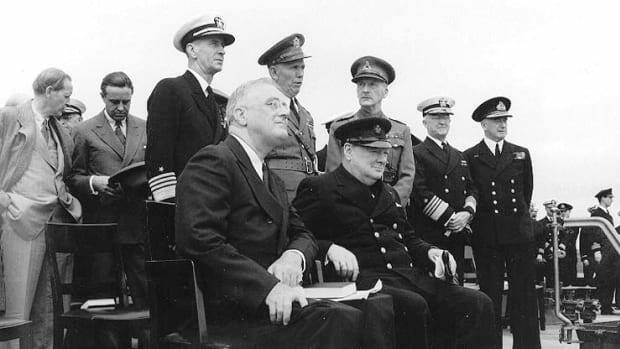 The company was among the largest importers of parmesan cheese and olive oil from Italy, and in 1938 the chef moved his operation to a closed hosiery mill in Milton, Pennsylvania, after getting local farmers to agree to grow a particular type of tomato for his sauce. The company even grew its own mushrooms in the factory. Boiardi remained a consultant with the company until 1978 and continued to appear in advertisements. 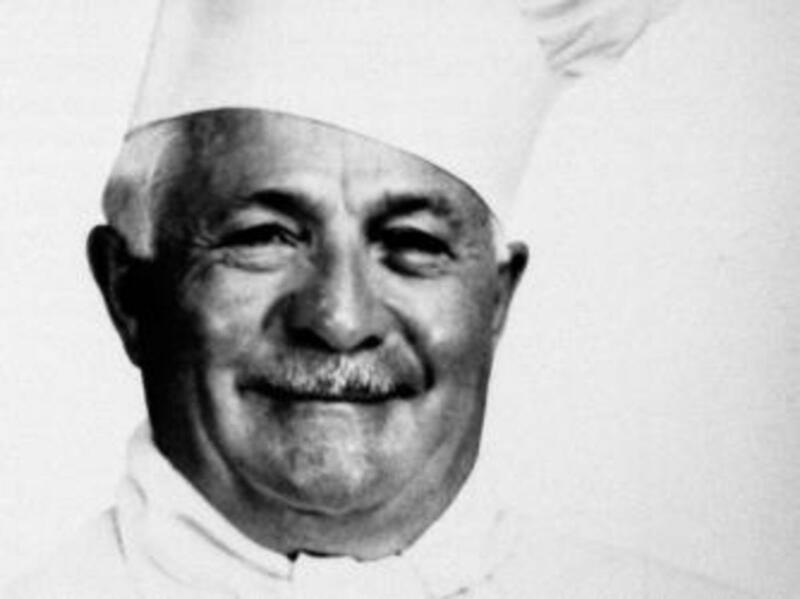 The chef died on June 21, 1985, at the age of 87, but on supermarket shelves around the world, his smiling face lives on.